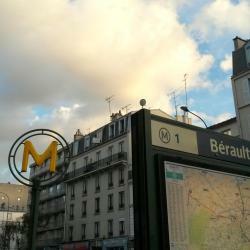 Looking for hotels near Saint-Mandé Metro Station? Opened in December 2015, Hôtel Comete Paris is located in the east of Paris just 2953 feet from Place de la Nation and its many transport links. Les Lys is located in Vincennes, a 10-minute walk from Château de Vincennes and 0.9 mi from Floral Park. This one-bedroom holiday home is set on 2 levels and features tiled flooring. Located near the Bois de Vincennes, the Château and its lake, and the "Parc Floral", the residence offers a piece of fresh air just a step away from Place de la Nation. Located in the 12th district in central Paris, this 3-star hotel features a conservatory overlooking the tree-lined garden and offers contemporary rooms. Daumesnil Metro Station is 755 feet away. Night staff was wonderful. Great welcome upon arrival. Happy to assist with questions. Hotel De La Porte Doree is located in Paris, 689 feet from Bois de Vincennes and a 20-minute walk from AccorHotels Arena. It offers classic rooms with parquet flooring and antique furniture. The room was beautiful, and the bed was unbelievably comfortable. 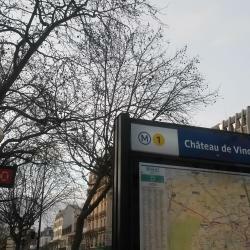 Hotels with great access to Saint-Mandé Metro Station! Set in a quiet district on the outskirts of Paris, ibis Styles Mairie de Montreuil welcomes you in a modern setting thought to meet the expectations of both business and leisure travelers. Really friendly staff, great location. Located opposite the Château de Vincennes, this pet-friendly hotel offers free WiFi access and satellite TV in the guest rooms. The staff was so friendly and helpful. Charming hotel and close to metro for getting into Paris! Le Patio Bastille is located in east Paris, between Bastille and Nation. It is 1312 feet from Nation Metro and RER Station and offers air-conditioned accommodations with satellite TV. Hotel was in a great location in the 11th arrondissement with a lot going on around it.